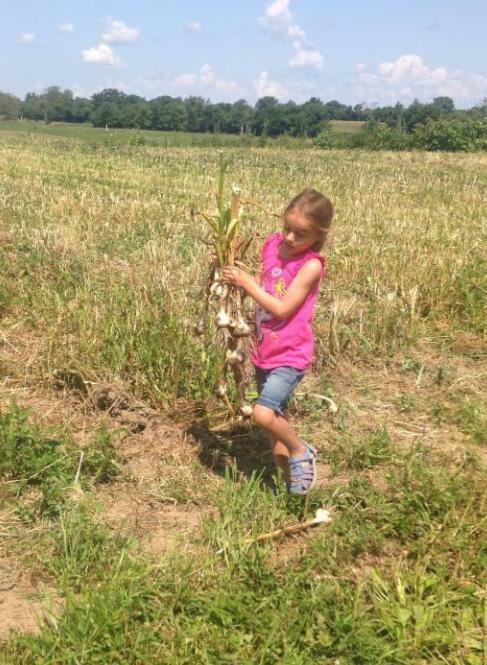 The first garlic of the season is on its way to you, with help from volunteers of all ages. 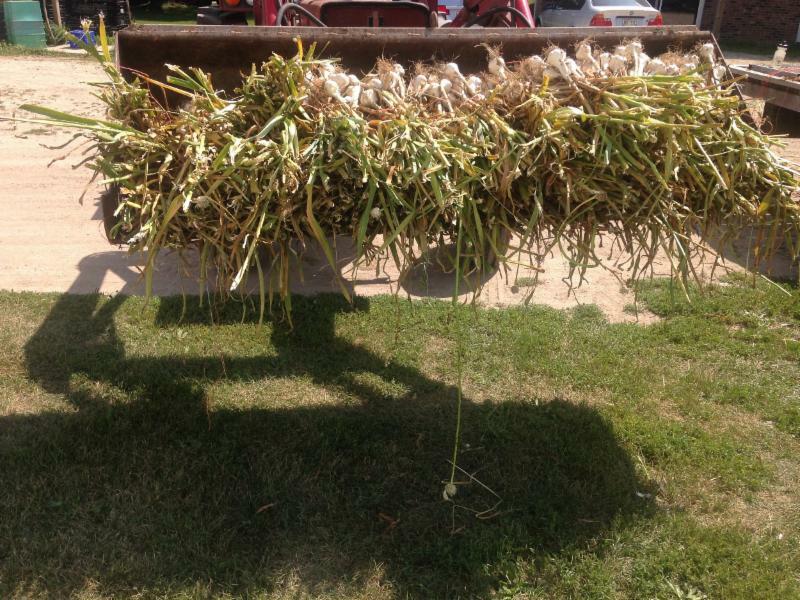 Many thanks to CSA member Kymberly Smith for sharing her family's story of helping with the harvest. 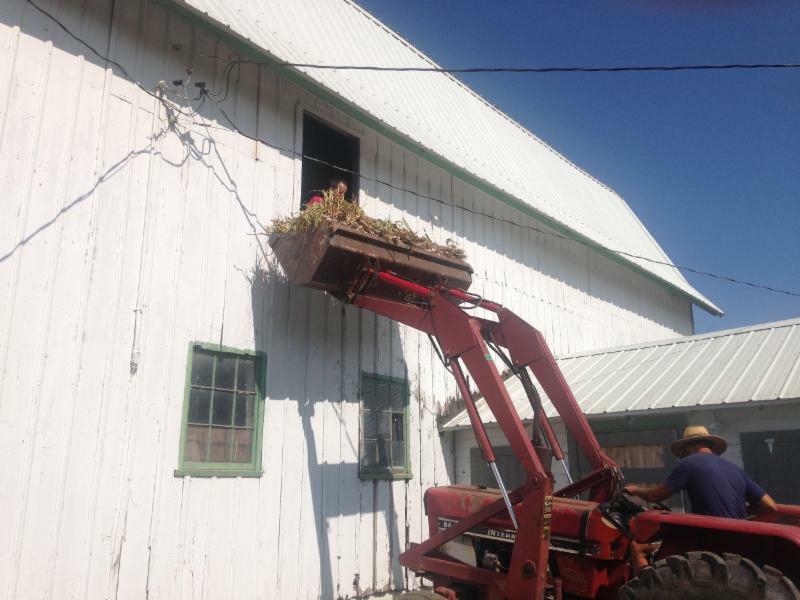 Hoisting garlic into the upper barn. This past weekend on July 29th, the weather was beautiful. It was sunny and clear with a high in the 70s. A perfect day for hiking, biking, swimming, or just about any recreational activity. Yet, at around nine in the morning, we arrived at the farm to work. In our work crew, we had my husband Chris and I, our six-year-old Charlotte, four-year-old Henry, five-month-old Elizabeth, along with my mom’s friend, Paul. We were not exactly the ideal farm crew, but we were ready to work. Before work, we headed out to feed the pigs. 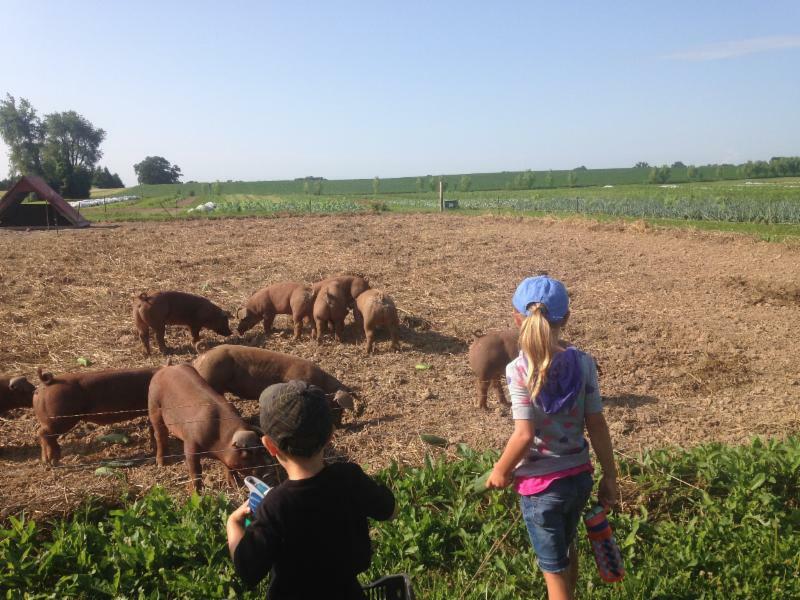 Their squeals matched our children’s squeals of delight as the kids threw cucumbers for the pigs to eat. The next task at hand was tying up the garlic in bundles to hang from the rafters. We walked up to two large flatbeds full of garlic and the smell was pungent, to say the least. The adults put on gloves and the children started to gather (except Elizabeth, who was content to lie on a blanket in the shade). We made quick work of the bundles, tying one bunch on each end of a string to hang, and placing them in the bucket of a tractor. Meanwhile, we talked about everything from zero turn lawn mowers, to changes on the farm, to babies, and everything in between. 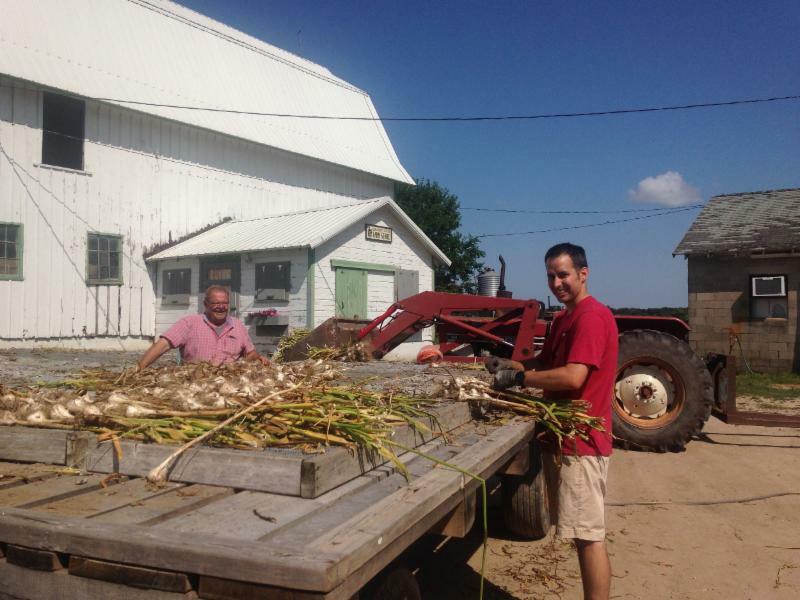 After filling up once, Chris climbed up into the rafters of the barn to hang the garlic, one on each end, to dry. We worked to fill up a second bucket while Steve went to cultivate one of the remaining rows for us to pick. 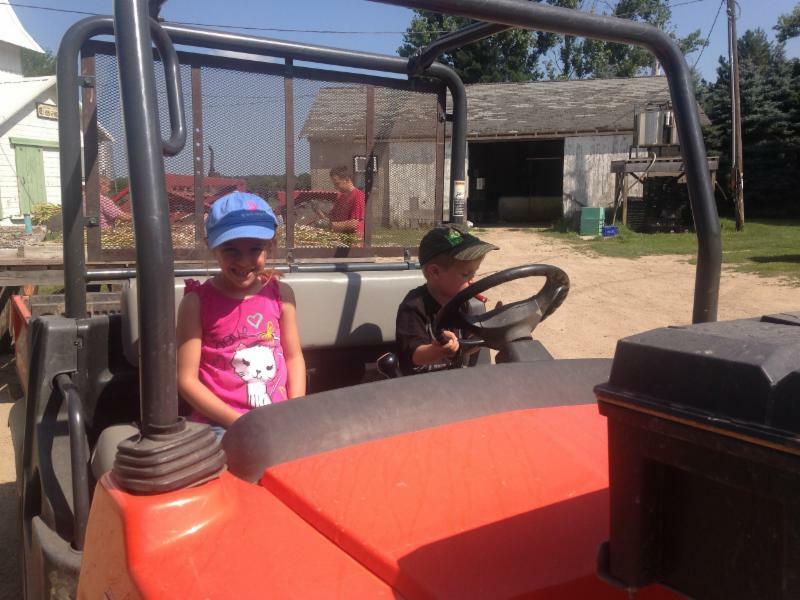 The kids at this point were done with their gathering job and went to play in the nearby Kubota. After we finished the rest of the flatbed and the garlic was loaded into the rafters, we got a ride on the Kubota (Henry’s dream come true) to pick more garlic. The cultivator made fast work of it while we simply pulled out the garlic and laid it into piles to be collected as the Kubota moved along an already picked row. The kids had the job of putting the garlic on the now empty flatbed as Elizabeth and I watched. The finale of the garlic harvest was a trip to visit the cows in a far field, where they mooed to the children’s delight. Why did we spend our Sunday morning out on the farm? We want our kids to know that food comes from the Earth, not the supermarket shelves. We want them to be able to see that all things in life are connected. The food that is imperfect or about to go rotten goes to the pigs to eat; the garlic bulbs this year are a bit smaller because of the weather or the way the season has worked out or something else unknown to us; the cows out in that field will eventually grace our table as my son’s beloved cheeseburger. We want them to know that working together to help a friend or neighbor is what being human is all about. Now did they get all this from one Sunday on the farm? Probably not, but maybe one day they will. This recipe for Main Dish Salad With Tuna and Vegetables rises above the ordinary pasta-and-mayo concoction, putting the emphasis on vegetables. Veggie and herb variations suggested include everything that's in season right now, making it a perfect summer supper dish. Toss chopped tomato and chopped avocado with a bit of vinaigrette or just lime juice. Serve with a sprinkle of chopped cilantro. 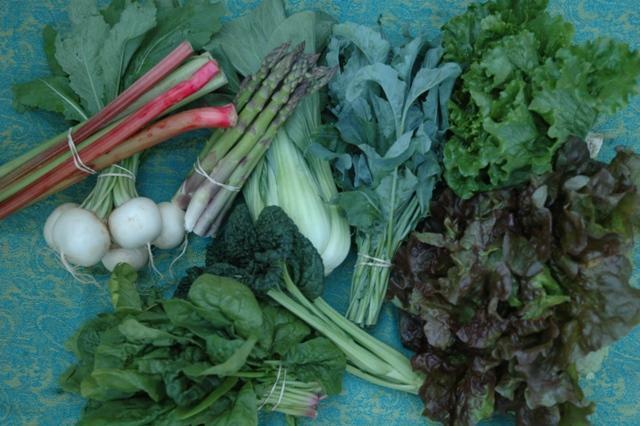 Eat as is, serve atop a bed of lettuce, or pair with shrimp or picked crab for a light lunch. Arrange 1/4 of the bean mixture on one half of each double layer. Sprinkle with pine nuts. Fold foil over ingredients and tightly seal by crimping and folding foil edges together. Grill over medium heat for 10 to 12 minutes, rotating the packets to another spot on the grill about halfway through to ensure even cooking. Let packets rest unopened for 5 minutes. Drizzle vegetables with vinegar just before serving. *Oven variation: Preheat oven to 400 degrees. 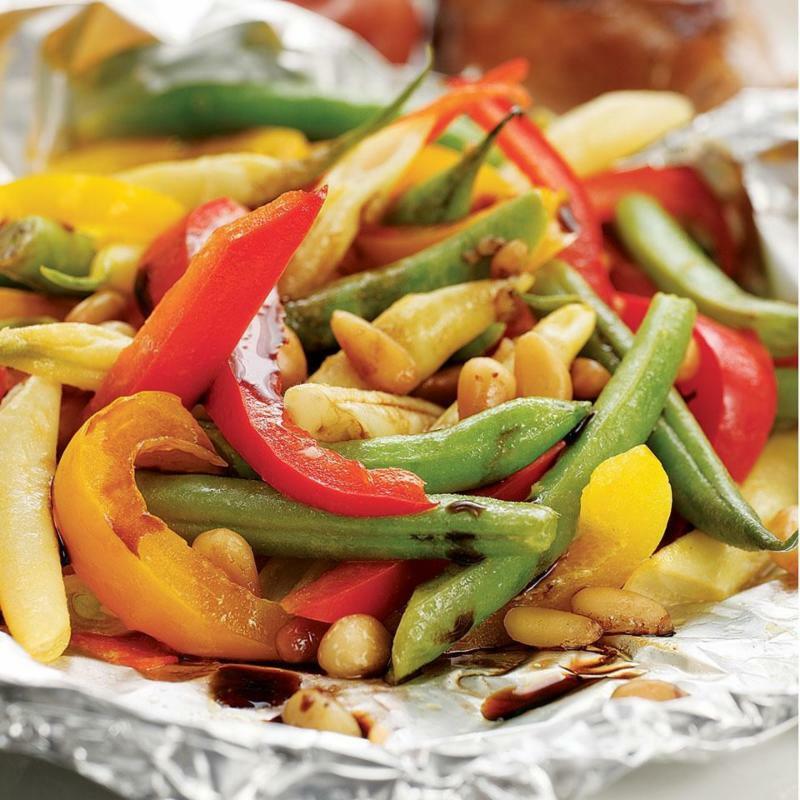 Prepare packets as for grilling, using a single layer of foil. Place packets on a rimmed baking sheet. Bake until the vegetables are tender, about 15 minutes. Let packets rest unopened for 5 minutes. Drizzle vegetables with vinegar just before serving. **Tip: To toast pine nuts, place in a small dry skillet and cook over medium-low heat, stirring constantly, until fragrant and lightly browned, 2 to 4 minutes. Preheat oven to 400 degrees. Coat a 9x13" pan with cooking spray, Set aside. Place cilantro, garlic, olive oil, salt and pepper in food processor and blend for about 1 minute. In a large mixing bowl, toss potatoes with cilantro mixture until well coated. Add potatoes to prepared pan. Bake for 35-40 minutes, stirring several times. Potatoes should be just tender.